Dawn's Kiss takes the reader on a journey to the domains of the heart and soul where dreams are given birth and Love is honored and celebrated in Her diverse aspects. It explores Love's heights and depths via a poetic feast offering beauty, depth, and passion to stir and help awaken the fires of Love in the mind, heart and imagination. This is accomplished by painting a picture of The Joys of Love, Love's Eternal Promise, Love s Anticipation, Love s Magical Moments, Love's Sensuality, Personified Love, Hoping and Yearning for Love, Loving From Afar, Soul Mates, Memories of Love, and Love's Farewell. Most everyone, somewhere in the far reaches of their heart, longs to be elevated to realms of the soul where the heart is free to sculpt a pure image of the mystery, magic, excitement and sacredness of Love. The poems' lyricism and vivid imagery provide a cornucopia banquet for readers to enjoy over and over and to pass on to others. 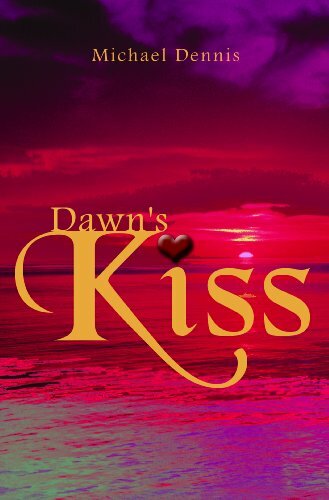 Dawn's Kiss is a romantic, sensitive poet's gift to help awaken the fires of love. For without Love, we can never be complete or happy. Michael Dennis is a writer, counselor and educator. He graduated from Berea College, KY in 1980 where he specialized in Psychology and Foreign Languages. His graduate and doctoral studies were in Education and French Literature at Indiana University, Bloomington, IN and The University of Cincinnati, Cincinnati, OH. He has taught French, and Spanish and Language Arts at the elementary, secondary and college levels. His Psychology self-help articles, poetry, science fiction and fantasy stories have appeared in various magazines. Michael has written two more books: Morning Coffee With God and Wisdom From Beyond and many other poems in collections entitled WellSprings of Hope and Sorrow's Dance.